I have a feeling this book is going to be HUGE this year. It’s unnerving, uncomfortable & undeniably beautifully written. Annie’s mother is a serial killer. Annie is given a new name & a new identity – Milly. She must live with her secret & a new family until it is her time to testify. Integrating within her foster family, torn loyalties to her birth mother and keeping her identity a secret makes for a tense and twisty backdrop for this story. I won’t lie, this book made me incredibly uncomfortable. I think anything where a chilling child killer plays a role is going to be difficult reading. I don’t think there’s a single character that I liked and sometimes that feels odd as a reader. I think we’re so used to aligning with our heroes & rooting for the good guys. In Good Me Bad Me it’s difficult to know exactly WHO the good guys are. 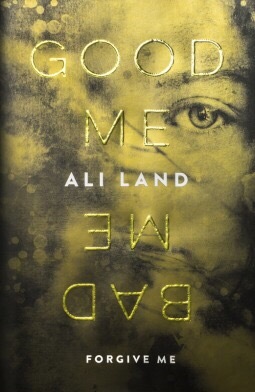 This is credit to Ali Land’s brilliant writing. Annie/Milly is so creepy, but her perspective is unique, fascinating and keeps you gripped throughout. This will be a big book in 2017. Four cwtches. Order your copy here.